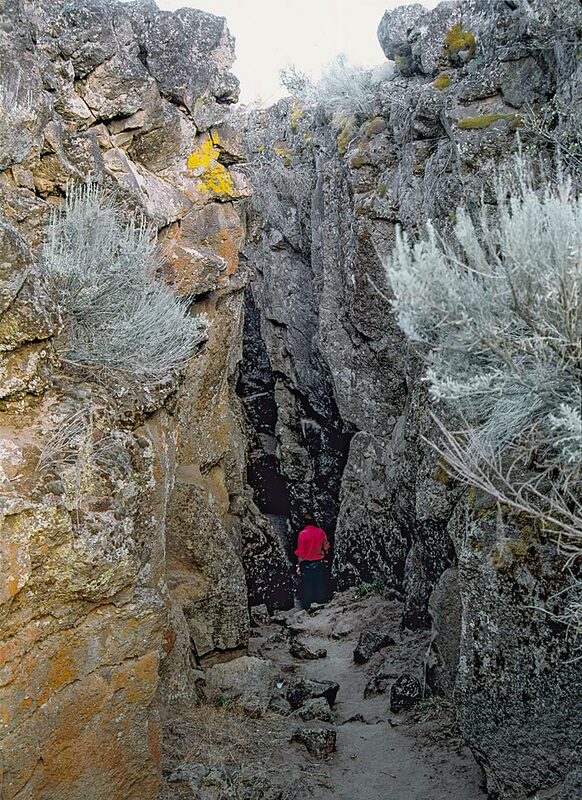 This volcanic fissure near Christmas Valley in Central Oregon is over two miles long. In places it is up to 70 feet deep. The Lake County fissure did not fill in after forming... the High Lava Plains was just too arid!